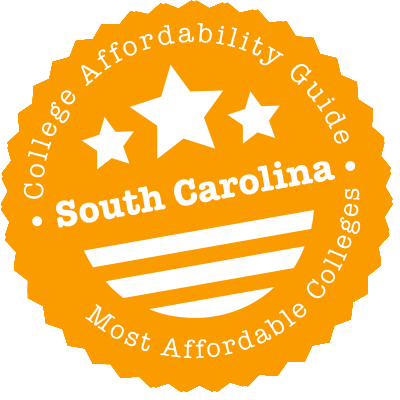 Scroll down to see our top-ranked colleges in South Carolina, loans and scholarships for South Carolina students, and advice on how to save money going to college in South Carolina. USC Upstate offers tiered scholarships, starting at $1,500 for freshmen with a 3.25 and an 1100 on their SAT, up to $7,500 for those with a 3.75 and a 1300. A slew of additional automatic awards for transfer students and nonresidents means there's something for everyone with an above-average academic record. These are supplemented by Foundation Scholarships, which are often reserved for particular majors or groups. Importantly, nonresidents who receive them may qualify for out-of-state fee waivers. USC Upstate prioritizes research, with funding available in multiple forms. The Scholarly Student Assistantship program finds research and teaching roles for undergrads and graduate students, while mini-grants help them take on independent projects. Last, travel grants pay their way to conferences. In 2017, USC Aiken reported an average net cost - the price of tuition plus living expenses after grants, scholarships and loans - of just over $13,000. That's $2,000 a year cheaper than the average for South Carolina's public schools. The year before, a quarter of seniors graduated without any debt. Ninety percent of USC Aiken students receive some aid, often in the form of the South Carolina Need-based Grant; the school gives up to $2,500 to those whose financial status qualifies them for the grant. No application is necessary in order for freshmen to claim a University Merit Award, which is renewable. Established as Beaufort College in 1795 to serve the educational needs of the children of local planters, the University of South Carolina Beaufort is now a public university with just over 1,750 students from all around the world with two campuses in the Lowcountry region. Entering freshmen may be eligible for the Hope Scholarship, which awards up to $2,650 toward the cost of attending a four-year South Carolina university for a maximum of two semesters. Qualified UCSB students are automatically considered for the USCB Palmetto Fellow-Plus Program ($3,000 per year) or the USCB LIFE-Plus Program ($2,000 per year). Recipients of these scholarships who are also STEM majors may be eligible to receive up to $10,000 more per year. Founded in 1770, College of Charleston is the oldest higher education institution in South Carolina. The college offers institutional grants or scholarships to 35% of full-time beginning undergraduates. University scholarships are awarded based on academic excellence or special talent, and freshmen applicants can apply for eight different institutional scholarships, including the $4,000+ Palmetto Promise, the $1,000 National Merit Scholarship and the college's most prestigious scholarship, the Colonial Scholarship. College of Charleston also awards institutional need-based grants to undergraduates and federal grants like the Pell Grant and the Federal Supplemental Educational Opportunity Grant. The Pell Grant, for example, is awarded to 23% of undergraduate students. Years before he became Douglas Stamper, Frank Underwood's go-to political strategist in the Netflix series House of Cards, actor Michael Kelly earned his undergraduate degree at Coastal Carolina University in Conway, South Carolina. Coastal Carolina University gives some form of financial aid to 91% of full-time beginning undergraduates. Institutional grants or scholarships are provided to 29% of these students, and admitted freshmen and transfer students are automatically considered for merit-based awards. The largest scholarship for incoming freshmen is the Presidential Scholarship, which has a maximum award of $6,000 per year for in-state students and $11,000 per year for out-of-state students. The university also participates in need-based governmental grant programs like the South Carolina Need Based Grant, the Supplemental Equal Opportunity Grant, the Pell Grant and the Federal Teach Grant. Converse College, a residential undergraduate liberal arts college for women that also has co-ed graduate programs, makes sure students get experiential learning, with most students involved in internships, research projects, or service learning. The college has more than 30 undergraduate majors and eight graduate degrees. More than 90 percent of undergrads receive some financial aid, with incoming freshmen eligible for merit awards based on academic performance, need-based grants, and talent scholarships. More than 90 percent of students graduate in four years or less, which also helps to reduce the bill for their college education. Washington Monthly has honored Converse for its efforts to recruit and graduate low-income students. If college were cheap, you wouldn’t be reading this. Rest assured, though, that South Carolina offers enough state financial aid to make a two- or four-year degree affordable at both public and private colleges. In fact, 40 percent of its higher education budget is earmarked for aid, which dwarfs the national average of 11 percent. The best part is that most state-administered scholarships don’t require applications — just do well in high school and money will be placed onto your student ledger. The state has three tiers of merit scholarships, so pretty much any above-average student can walk away with something. Unfortunately, South Carolinians still pay for a whopping 63 percent of college costs with their own money, the ninth-highest rate in the nation, meaning they may have to borrow from federal lenders or the South Carolina Student Loan Corporation to pick up the slack. But before you worry about that, take a deep breath, read our comprehensive guide, and start piecing together the money you need to make a degree a reality. There are three state-specific sites that every college-bound South Carolinian should look at. The first is the website for the South Carolina Commission on Higher Education, which administers the bulk of state funding that doesn’t have to be repaid (think grants and scholarships). The site walks prospective students through the financial aid terminology and application procedures. It also links to other sources of aid that can make college affordable, including the Future Scholar 529 plan, which allows people to build compound interest on their college savings. The second is the South Carolina Student Loan Corporation, which, as its name suggests, administers state funds that do have to be repaid, only at cheaper rates than private loans. Aspiring teachers in particular can benefit, as the loans available from the corporation have built-in terms for forgiveness. Last, since federal and state grants and loans use the Free Application for Federal Student Aid (FAFSA), this form needs to be correctly and promptly filled out. The people at SC Thrive help students (and/or their parents) file it. Summary: Regardless of financial need, South Carolinians can receive $1,200 each term they are enrolled in a two-year school in the state. Eligibility: State residents enrolled in six credits per term at an eligible institution can apply if they are up-to-date on their loan payments and did not receive the HOPE, LIFE or Palmetto Fellows Scholarships. How to Apply: Submit the FAFSA, and then contact your financial aid office for additional steps. Summary: A $2,500-per-year award, the SC Need-based Grant is applied directly to the tuition for first-time students in a degree program at a South Carolina public college. Eligibility: The award goes to South Carolina residents who are not in default on a higher education loan. How to Apply: Submit the FAFSA as soon after January 1st as possible, and then contact your financial aid office for additional steps. Summary: Students attending private nonprofit colleges in South Carolina can qualify for need-based grants of up to $3,200 through this program. Eligibility: Only South Carolina residents attending a full-time program are eligible. Their award amount is calculated using information provided on the FAFSA, such as income and college costs. How to Apply: Submit the FAFSA as soon after January 1st as possible. If eligible, the award will automatically be applied toward your financial aid package. Summary: Creative high school seniors can earn $2,000 to attend a college in South Carolina via this statewide talent competition sponsored by the South Carolina Department of Education. One award is given in each of these five areas: creative writing, dance, music, theater and visual arts. Eligibility: Only U.S. citizens who have attended a South Carolina public school for the last two years may apply. Each award category also has its own criteria. How to Apply: Contact your high school guidance counselor, who should assist you in applying. The application process involves mailing an original work or process folio to the South Carolina Department of Education. Summary: The Legislative Incentive for Future Excellence (LIFE) Scholarship is a renewable $5,000 award ($300 of which is earmarked for books) that residents can apply toward their education at a college in South Carolina. It’s given to students who meet two of the following three criteria: attained a 3.0 GPA; scored an 1100 on the SAT or 24 on the ACT; and graduated in the top 30 percent of their class. Eligibility: Students cannot have previously been enrolled in a higher education program at the same level, nor can they be in default on a student loan. They must enroll full time. Students who earn the SC HOPE Scholarship, Palmetto Fellows Scholarship or Lottery Tuition Assistance are not eligible. How to Apply: There is no application process. Awards are applied automatically to eligible students’ financial aid packages. Summary: LIFE Scholars in a math or science discipline can get an extra $2,500 annually beginning their sophomore year. Eligibility: Students who take 14 credits in science and/or math during their freshman year and declare their major in one of the fields qualify. They must take 30 credits per year thereafter to retain eligibility. Summary: In a bid to retain top academic talent — and recruit talent from out of state — South Carolina gives outstanding high school seniors up to $29,200 over the span of their college careers to enroll in bachelor’s programs within its borders. Eligibility: There are two award periods: early and late. Each uses different criteria, and there are multiple routes for eligibility. The common denominator is that recipients must have solid GPAs, excellent SAT scores and high class rankings. How to Apply: High school guidance counselors identify eligible students and handle the entire application process. Summary: Palmetto Fellows who have completed their freshman year can earn an additional $2,500 for each of their last three years if they major in a science or math program. Eligibility: Students who take 14 credits in science and/or math during their freshman year qualify. They must take 30 credits per year thereafter to retain eligibility. How to Apply: There is no need to apply. Eligibility is automatically determined. Summary: Not every student can qualify for a Palmetto Fellows Scholarship or even a LIFE Scholarship. The SC HOPE Scholarship gives these high school seniors $2,800 ($300 of which is earmarked for books) to start their freshmen year out on the right foot if they graduate with a 3.0 GPA. Eligibility: Eligibility is limited to South Carolina residents attending a bachelor’s degree program in the state on a full-time basis. Summary: Sometimes grants and savings aren’t enough. In such cases, students can borrow $2,000 to $100,000 via the Palmetto Assistance Loan to cover any education-related expenses. They’ll then repay the loan for 10 to 15 years after graduation at an interest rate of six to eight percent. Eligibility: Creditworthy students pursuing a certificate or degree at a school with a low loan default rate can apply. How to Apply: Get a cosigner if you’re under 24, and fill out the online application. Summary: South Carolina has one publicly funded law school, which is at the University of South Carolina. Graduates of this school can get some of their loans forgiven if they work in public interest law for at least two years. Eligibility: Members of the South Carolina Bar are eligible. Award decisions are based on several factors, including income and eligibility for other loan forgiveness programs. How to Apply: Submit your loan forgiveness application to the USC School of Law by June 30th. Summary: The state encourages people to go back to school to become teachers by offering them $15,000 in loans for each year they attend. The loan is either repaid with an interest rate of 8.25 percent or lower or forgiven if the teacher goes on to teach in a subject or location the state deems critical. Eligibility: South Carolina residents who have worked full time for at least three years and then enroll in a teacher education program qualify. How to Apply: Submit the SC Teachers/Career Changers Loan application by April 30th. Summary: Students in the South Carolina Program of Alternative Certification for Educators (PACE) can get reimbursed $750 a year for education expenses on their route to becoming a teacher. The loan is either repaid with an interest rate of 8.25 percent or lower or forgiven if the teacher goes on to teach in a subject or location the state deems critical. Eligibility: PACE enrollees who are teaching public school in South Carolina and who have received an Educator’s Certificate for the current year are eligible. How to Apply: Submit the PACE Loan Application. Summary: Underclassmen can borrow $2,500 per year, and all other students can borrow $5,000 per year to attend teacher education programs. The loan is either repaid with an interest rate of 8.25 percent or lower or forgiven if the teacher goes on to teach in a subject or location the state deems critical. Eligibility: South Carolina residents enrolled in a teacher education program who meet certain academic requirements qualify. Summary: Holders of an SC Teachers Loan or SC Career Changers Loan can have either 20 percent or $3,000 (whichever is greater) wiped off their accounts for teaching in a subject or location the state deems critical. Those who teach in both can have 33 percent or $5,000 forgiven for each year they teach. Eligibility: South Carolina public school teachers holding an applicable teachers loan can apply. How to Apply: Simply have the school you teach at certify your employment on the SC Teachers Loan and Governor’s Teaching Scholarship Confirmation Form. Summary: The Commission on Higher Education gives up to $4,500 for South Carolina Army National Guard members and $9,000 for Air National Guard members per year they attend. Eligibility: National Guard members must attend a school in South Carolina and working toward their first bachelor’s degree to receive the funds. They must continue serving as long they do so. Officers must continue service for four years after graduating. How to Apply: Apply directly with your National Guard representative. Summary: Certain veterans’ children under the age of 26 enrolled in an undergraduate program will have their tuition waived at South Carolina public two-year and four-year colleges. Eligibility: The veteran must have been a South Carolina resident and not have been dishonorably discharged. For that veteran’s children to qualify, the veteran must have died or become disabled as a result of military service, been a prisoner of war or declared missing in action, won the Congressional Medal of Honor, or received the Purple Heart. How to Apply: Furnish proof of service using the veterans claims folder and, if applicable, a certified copy of the veteran’s DD 214. Summary: South Carolinians can go to school across state lines at the same tuition as an in-state public school if they enroll in a program that is more than 50 percent different from one offered in South Carolina. Eligibility: South Carolina residents accepted to an eligible undergraduate program in Alabama, Arkansas, Delaware, Georgia, Kentucky, Louisiana, Maryland, Mississippi, Oklahoma, Tennessee, Virginia or West Virginia can apply. How to Apply: Fill out a residency form and submit it alongside the course curriculum and a copy of your acceptance letter. Summary: Up to 200 high school seniors receive a teaching fellowship each year. What’s that entail? It’s $5,700 annually for tuition and living costs and another $300 to participate in programs put on by the Center for Educator Recruitment, Retention and Advancement (CERRA). To get the award, students must teach in a South Carolina public school for the same number of years they receive funding. Eligibility: Students at the following colleges may apply: Anderson University, Charleston Southern University, Coastal Carolina University, College of Charleston, Columbia College, Francis Marion University, Lander University, Newberry College, USC Aiken, USC Columbia, USC Upstate and Winthrop University. How to Apply: Submit an online application along with transcripts, standardized test scores and three references to CERRA by the deadline. Summary: Money comes back to South Carolina students or their families who stay in state for college in the form of a tax credit. It’s $350 per year for community and technical college students and $850 annually for four-year public or independent school enrollees. Eligibility: Students must complete 30 credit hours a year and have graduated high school since May 2010. Also, LIFE or Palmetto Fellows Scholars are not eligible. How to Apply: Fill out the I-319 Tuition Tax Credit form, and attach it to the SC1040 when filing your taxes.